When it comes to baking you will need some Low-carb flours to cook those breads, buns, pancakes, rotis and also cakes ! I usually buy Almond flour from online stores and I picked some of my favourite products for you ! Click to buy. Almond flour ideal for breads, pancakes, cakes and versatile to use in various low-carb dishes. Almond flour is one of the best grain-free alternatives to regular flour. It’s a staple for everyone following a ketogenic diet. I use almond flour to make all sorts of keto-friendly foods. You can make amazing bread, cookies, pancakes, rotis, naans, parathas and even pakodas using this flour. This is a must-have and you can visit my recipes to make the best use of it. What can you make using almond flour? Keto Rotis / Parathas / Naans, Breads and buns, Cakes, Pakodas, Tikkis, used as a great breading for frying fish and other meat. Try my non-eggy almond buns from this recipe here. Coconut flour is another grain-free alternative ideal for baking and other purposes. Coconut flour is another grain-free alternative to all-purpose flour. Compared to almond flour, you will need to use more liquid ingredients due to its high absorption properties. Coconut flour contains fats that are heat-stable and perfect for baking. Just like almond flour, I use coconut flour to make both sweet and savory recipes. Moreover, it is cheap than almond flour. What can you make using Coconut flour? 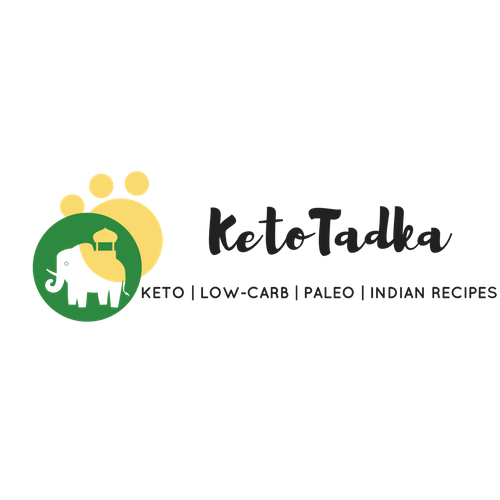 Keto rotis and Parathas , Breads, Pudding, Tender coconut icecream, breads. If you are looking for a low-carb and a cheap alternative to almond flour, you can use flaxseed meal. But cooking with it gets tricky especially when you are a beginner. Flaxseed meal can be used for baking. It’s high in fibre and can even be used as an egg substitute when mixed with water. Due to it’s earthy taste, flaxmeal is perfect for making keto-friendly bread. In most recipes, I use homemade flaxmeal that I make by grinding whole flaxseeds, but getting a ready-made product like this one may be more convenient for you. What to make using flaxseed meal ? Psyllium husk powder is an essential ingredient when making low-carb bread, cakes and pies. It’s almost pure fiber and adds a great bread-like texture to baked goods. It absorbs large amounts of water so when you use it, always make sure to add enough liquid ingredients such as eggs and water. Psyllium powder is what makes low-carb bread almost indistinguishable from regular wheat bread. I use whole husk as well as powdered husk. You can use either of them but the whole husk give a flexible texture to tortillas or wraps you make so that you can roll them easily. What can you make with psyllium husk ? It is a best remedy for constipation. Though having enough low-carb vegetables in your diet will help you, psyllium husk also helps you if you cannot have enough fibre in the day. You can use it in your breads, rotis, wraps to add the extra fibre in your diet. The reason I use protein powder in some of my recipes is simple – it has a similar binding effect as gluten, which is missing in low-carb & paleo recipes. It’s also great in keto smoothies. For those who are avoiding dairy, this calls for a wonderful option.